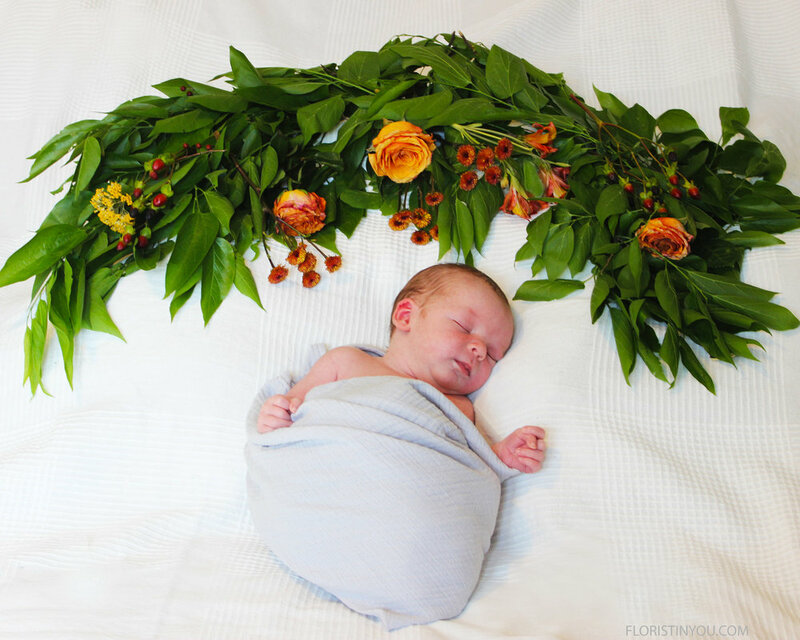 If you would like your background for Newborn photos to have flowers, here's an easy way to make it. Cut three branches with leaves about 18 inches long and place them with two going in one direction and one the other direction in the shape of the top of a wreath. 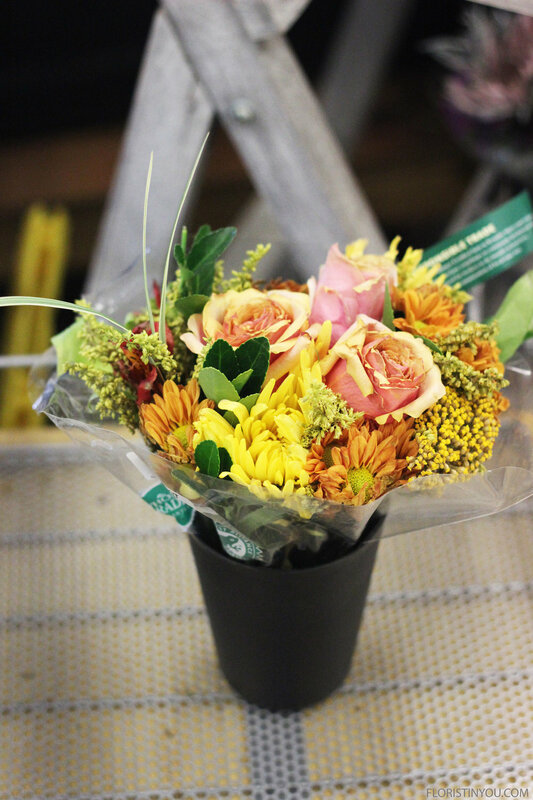 Take the flowers from a grocery store bouquet and intersperse them into the leaves with the blooms facing down. You are ready for baby. 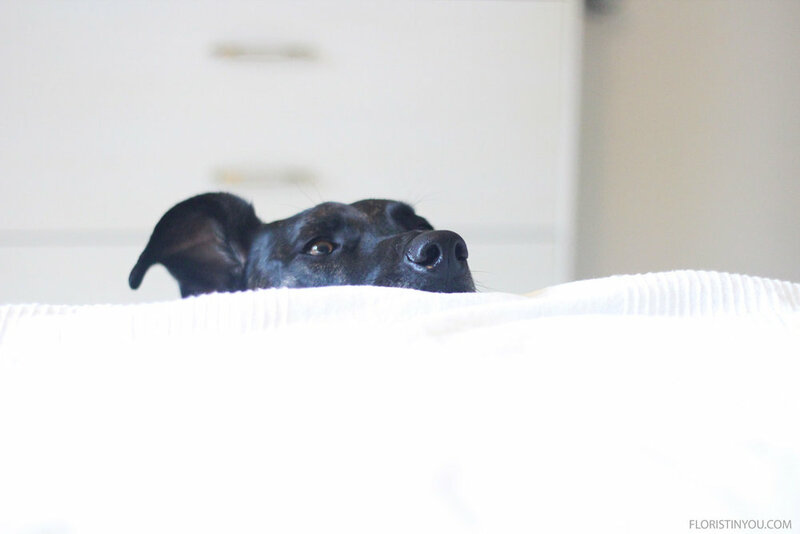 You may not be ready for the Catahoula dog, but if he is as curious as this one was he'll be there. If you have your leaves and bouquet, let's begin. Take the flowers from a Petite Grocery Store Bouquet. Lay leaves down, 2 going one direction, 1 going the other direction. 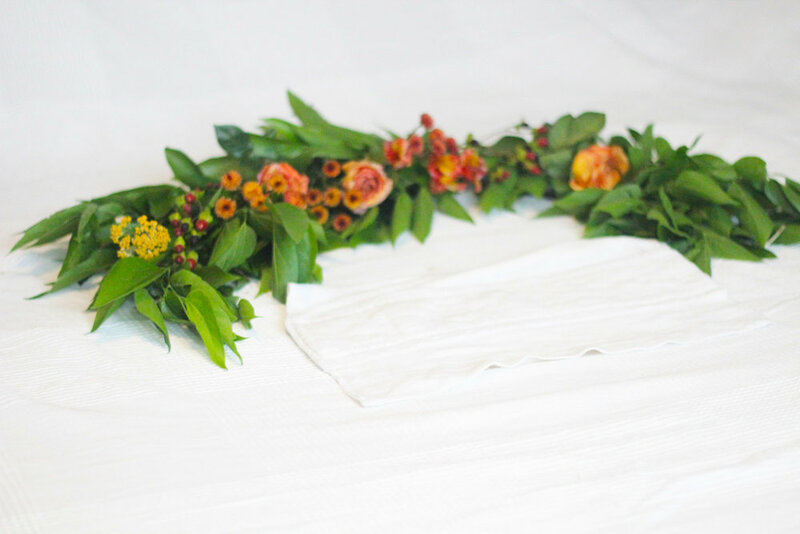 Add flowers with blooms facing down. Your wreath is done. You get an idea of it's scale by the cotton diaper under it. A C-shaped nursing pillow was laid under the bed spread to hold the baby snugly. Oh, hello Joe. Somebody's curious. Oh, you want to be up there too. Oh, I know it's hard work watching baby. That's right. 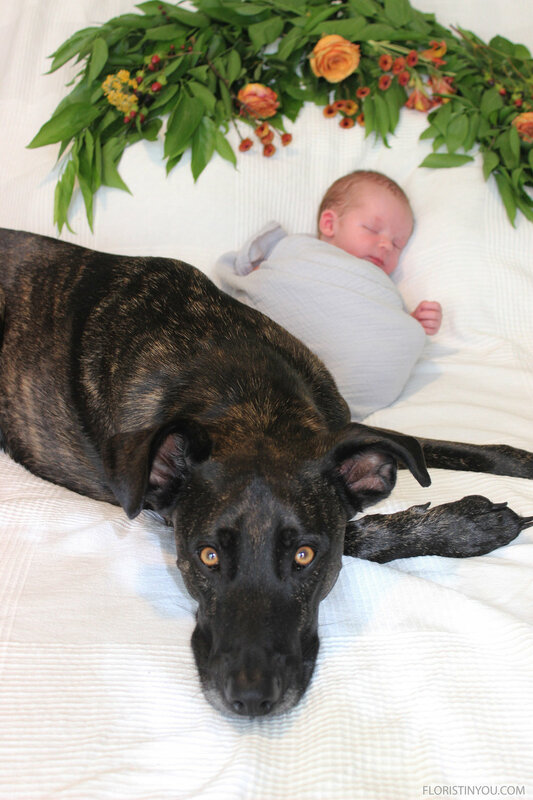 You're doing a good job guarding the baby. And baby can sleep through all of this. Enjoy!